Kudos to Jay-Z for being the first mainstream artist to finally say "F**K auto-tune," but we at The Gallery Network know that Anacron's been saying it ever since T-Pain first debuted on the scene. Following suit with his own take on the Death Of Autotune hit record, Here's Anacron with his own version of the cut, going tough on everything from auto-tune to hipsterism to ignorance with one common theme: STOP BITING! Anacron - "D.O.A. (Danglin' Offa Anacron's...)"
Download Anacron's "DOA" for free HERE. Original version by Jay-Z, produced by No ID. James Brown, December 25th. Aaliyah, August 25th. Left Eye, April 25th. Michael Jackson, June 25th…how random is that? The past week has brought Ed McMahon, Farrah Fawcett, Michael Jackson and Billy Mays to rest. In the case of Michael Jackson, his passing somewhat revived the existence of his life for myself. I have to admit, I haven’t felt as obsessed with Michael’s music success after Thriller and still love the days of Jackson Five. I can still ride for the Free Willy songs and You Are Not Alone on the karaoke machine, but it has been hard to stomach his unfamiliar altered face and his private amusement park, the Neverland Valley Ranch. As Janet speaks at the recent BET Awards just three days after the death of her brother, Michael: My entire family wanted to be here tonight, but it was just too painful. So they elected me to speak with all of you…To you, Michael is an icon, to us, Michael is family. And he will forever live in all of our hearts. June 25th, 2009. 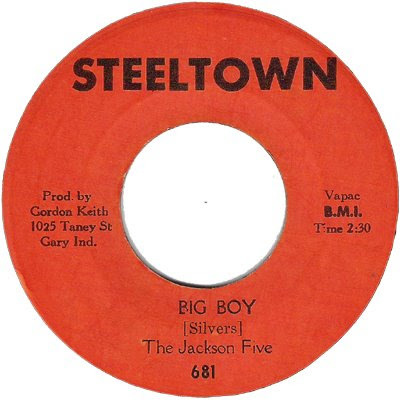 42 years ago, Michael Jackson was recording his first recording on the Steeltown Label with the Jackson Five singing Big Boy. The first pressing is on an Orange label and the latter on Red. I was at work, when Michael Jackson brought the internet down. Since then his music comes back to life all over the world at every bar, radio, and even elevator music sings familiar tunes from my childhood like Say Say Say with Paul McCartney and MJ. In Chicago, I walk through Wicker Park, Choppers, Happy Village, Picante, Chickpea, Irazu, Rodan, and even the Crocodile Lounge, expecting to hear Michael Jackson at every sound outlet. I went tooling for records Saturday morning and every record store, yard saler, and street trotter had something to say about Michael. No, I was not looking for another Thriller LP but you can play it on the radio. 1982. Motown witnessed Michael bring the Moonwalk and changed the history of dance. He brought some smooth moves to the breakdance, too. There’s so much he’s done in 50 years and despite the sadness of his downfalls, how can you resist the charm of this 8 year old boy singing on the radio back in the days of WVON Pervis Spann. My good friend Scott Harlow, created a website called www.midwest45s.org It’s a great source for 45 clips and I highly recommend you checking it out. Here is one of many favorite MJ songs on 7” and can be found under the Indiana Pages. 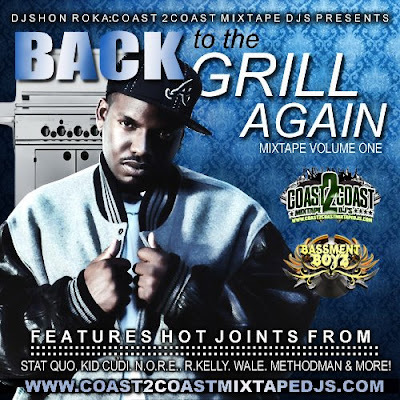 Recorded in Gary, Indiana on the Record Label, Steeltown. Original Peanut Gallery member and artist, Himself. 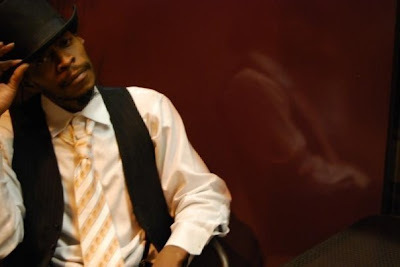 Many have slept on this stunning West Coast artist's career since his underground inception in Los Angeles' independent explosion during the early 1990's. Raised and cultered in underground hip hop affiliated with the west coast's best (Living Legends, Project Blowed, Good Life, etc. ), Himself is an integral piece of the chemistry that laid the groundwork for what The Peanut Gallery Network has flourished into today. 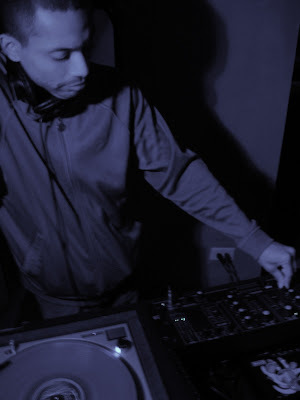 Himself has always been the thoughtful and introspective MC that he is today, whether performing solo or with side groups like Antiques (Himself and bLvMe), Netherworlds (Himself, Anacron, Murs), and his current project Everyday Bubble (Himself and Sunspot Jonz). From the past to the present and into the future, Himself maintains his stance as an often overlooked, but rarely underestimated voice in hip hop. Classic material! Lord Jamar, Grand Puba, and... Anacron!? 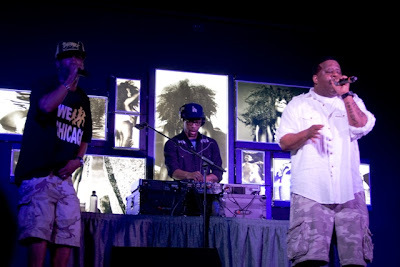 The Gallery Network founder, member , and artist joined two-thirds of the original Brand Nubian crew on stage late June, 2009, to shred through a 45-minute long set of Brand Nubian and Grand Puba hip-hop classics. One of many stellar performances at Chicago's newest live music venue and nightclub, The Shrine, this pairing of old- and middle-school (plus east coast and west coast familiarity) hip hop artistry went off as a warmly welcomed surprise for Chi-Town fans.